A new photographic exhibition in London follows the journey taken by England’s Prince of Wales (later King Edward VII) in 1862, as he undertook a four month tour around the Middle East. And as usual, no sign of mosques or active Palestinian presence as the decades old argument from the Palestinian side to keep up the saga to fight and occupy, for the sake of jihad and foreign aid. 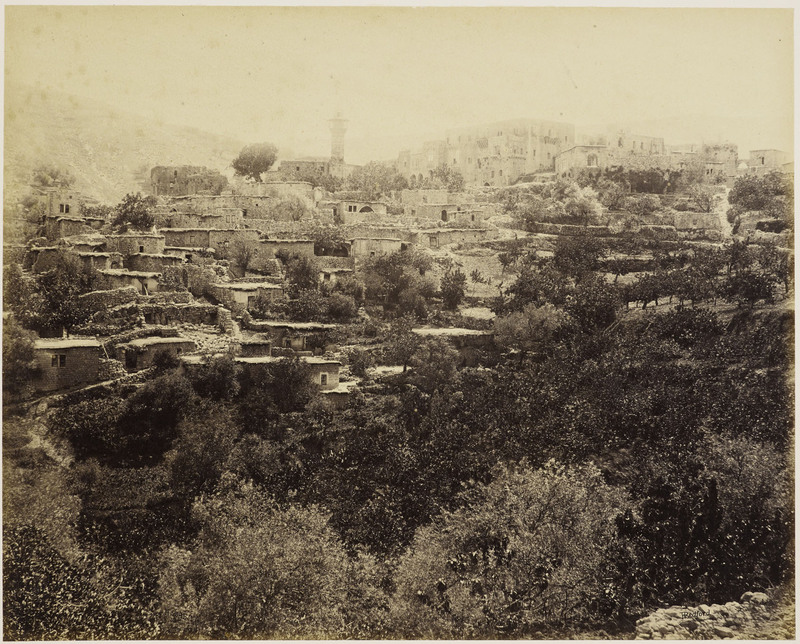 In the exhibition we find more photographs from Jerusalem in 1862, when the so called “palestinians” allegedly were already 1 million in population on land they profess to have “lost to Jewish occupation” a few decades later. The only problem with this argument is that, as with all photographs up to the second decade of 1900’s, there are rarely any Muslims or mosques to be found on any photographs. The only mosque – and a confiscated synagogue converted after Muslim invasion is the Temple Mount’s Dome of the Rock – and it stands empty of Muslims in ALL pictures through the 1800’s and early 1900’s, demonstrating the falsity in the Palestinian argument. There are more evidence and remains of the massacres Muslims caused on Christians, than any living signs of Muslims themselves. In comparison, other towns with a living Muslim population documented in photographs during the mid and late 1800’s always feature a lot of mosques. 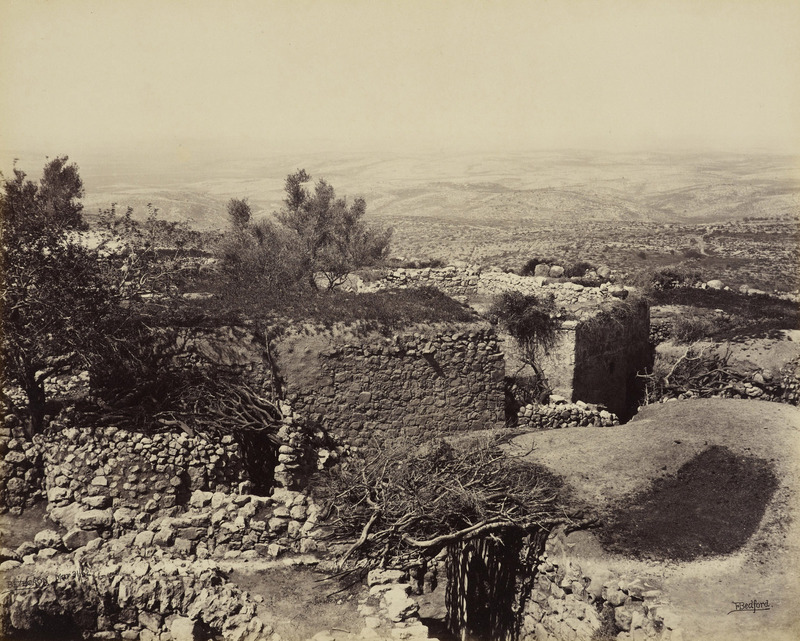 This exhibition follows the journey taken by the Prince of Wales (later King Edward VII) in 1862, as he undertook a four month tour around the Middle East. Seen through the photographs of Francis Bedford (1815-94), the first photographer to travel on a royal tour, it explores the cultural and political significance Victorian Britain attached to the region, which was then as complex and contested as it remains today. The tour took the Prince to Egypt, Palestine and the Holy Land, Syria, Lebanon, Turkey and Greece where he met rulers, politicians and other notable figures, and travelled in a manner not associated with royalty – by horse and camping out in tents. On the royal party’s return to England, Francis Bedford’s work was displayed in what was described as ‘the most important photographic exhibition that has hitherto been placed before the public’. Cairo to Constantinople: Early Photographs of the Middle East is presented alongside Gold at The Queen’s Gallery, Buckingham Palace. 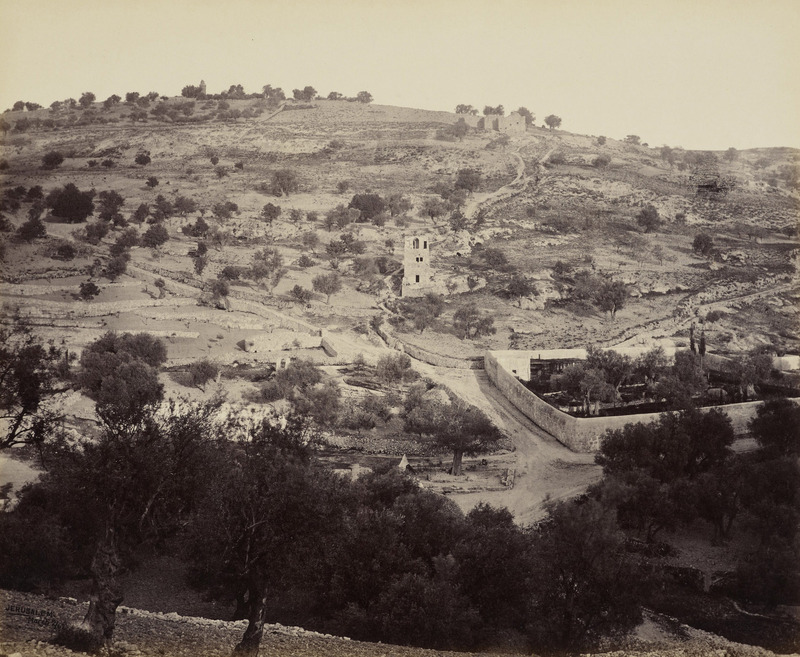 On their route towards Damascus, the royal party stopped at some of the towns and villages close to the Lebanon-Syria border, which had seen fighting during the 1860 conflict. The first town they reached was Hasbaya. The Prince was told that between 800 and 1000 Christians were killed here by the Druze [Muslim Shia minority group]. The photograph is signed, captioned and dated in the negative, ‘F Bedford Hasbeiya’. The number in the Day & Son series is 90. 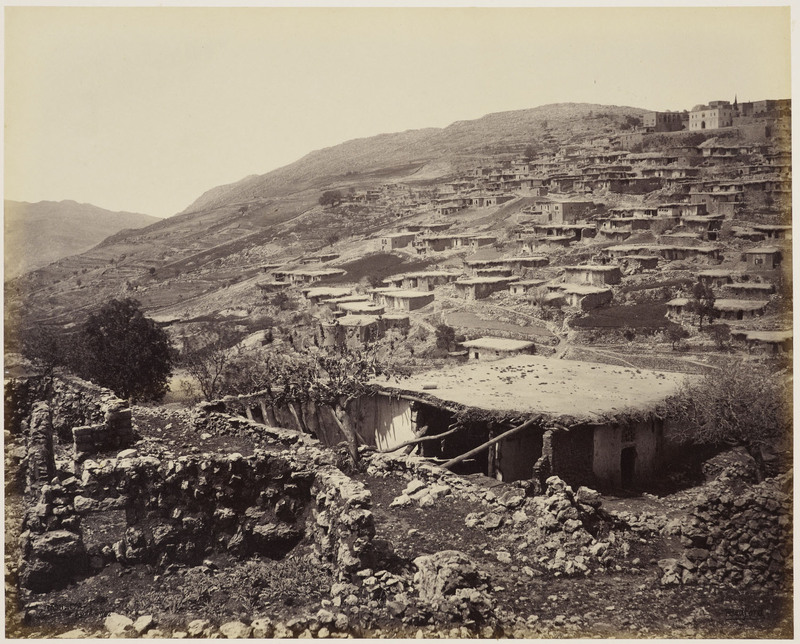 Rashaya, a mostly Druze-inhabited town [Shia Muslim sect], was the scene of conflict in June 1860. The Prince wrote: ‘In this town, 400 to 500 Christians were massacred and we saw still the remains of the burnt houses.’ In July, the conflict spread from this area into Damascus. The photograph is signed, captioned and dated in the negative, ‘F Bedford Rasheiya’. The number in the Day & Son series is 92. 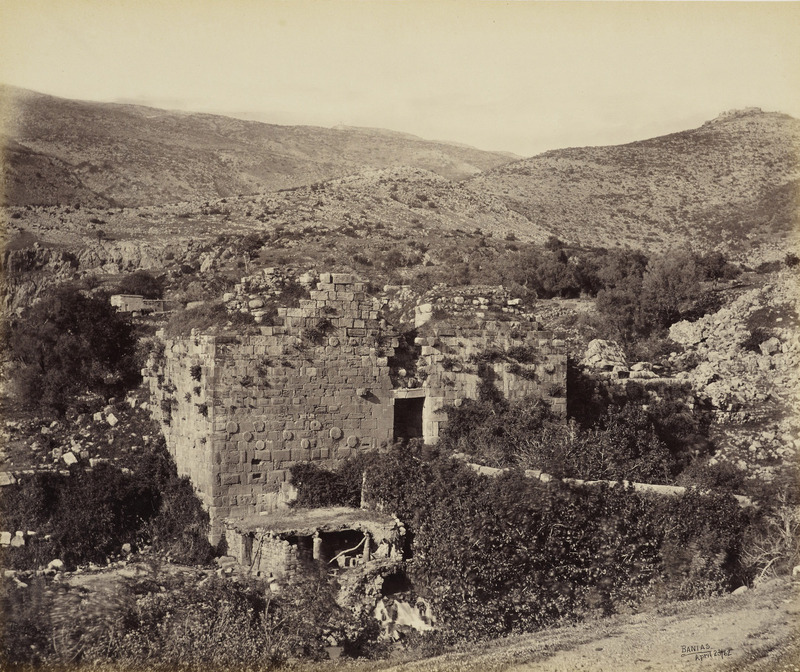 View of dilapidated entrance to Citadel – part of complex of Castle of Banyas. Stream runs through ditch in foreground. 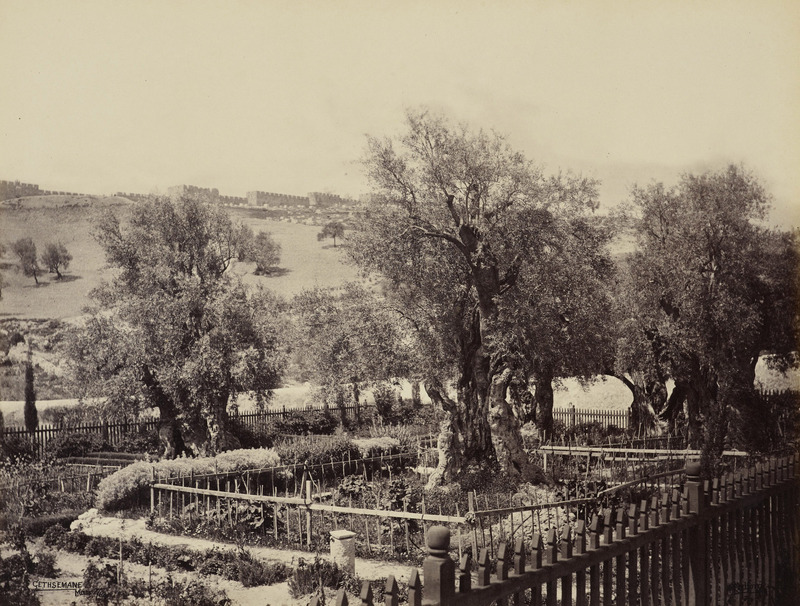 The photograph is signed, captioned and dated in the negative, ‘F Bedford Banias’. The number in the Day & Son series is 87. 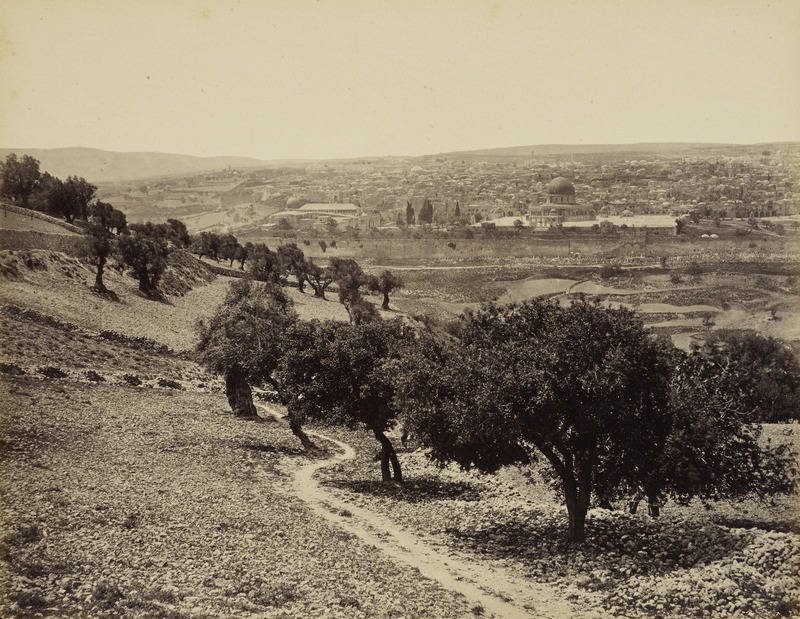 View from slopes and olive groves of the Mount of Olives towards distant rooftops of Jerusalem. The royal party arrived at Jerusalem in the evening of 31 March. They set up a camp outside the city walls, between the Damascus Gate and the Gate of St. Stephen. Their first evening was spent walking along the walls of the town, taking in the view of the city, under the guidance of the Revd Dr Stanley, one of the gentlemen in the Prince’s party. The photograph is unsigned, uncaptioned and undated. The number in the Day & Son series is 52.